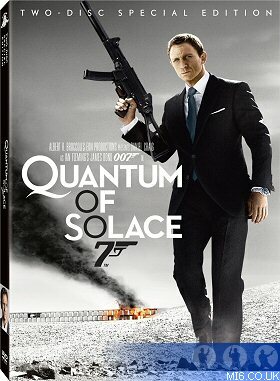 James Bond fans in the USA can pick up the 2-disc Special Edition DVD of "Quantum of Solace" (2008) for just $1.98 at Walmart stores across the country from 10pm on Thursday 24th November 2011 until the close of business on Friday. The film is also available on high-definition Blu-Ray for just $5 during the same time period. While supplies last. Except where prohibited by law. Check you local store's hours.